After my main box died, I got a very decent replacement for it. A Lenovo ThinkPad T500 – Model 20553AG/NK13AGE. As I like working natively under Haiku, wired networking is a must. (Not thinking of wireless at all, atm.) Unfortunately the included “em” driver code from FreeBSD – which in time has been merged with the “bge” driver into the “e1000” – was outdated and no support for the integrated “Intel Corporation 82567LM Gigabit Network Connection [8086:10f5] (rev 03)” present. 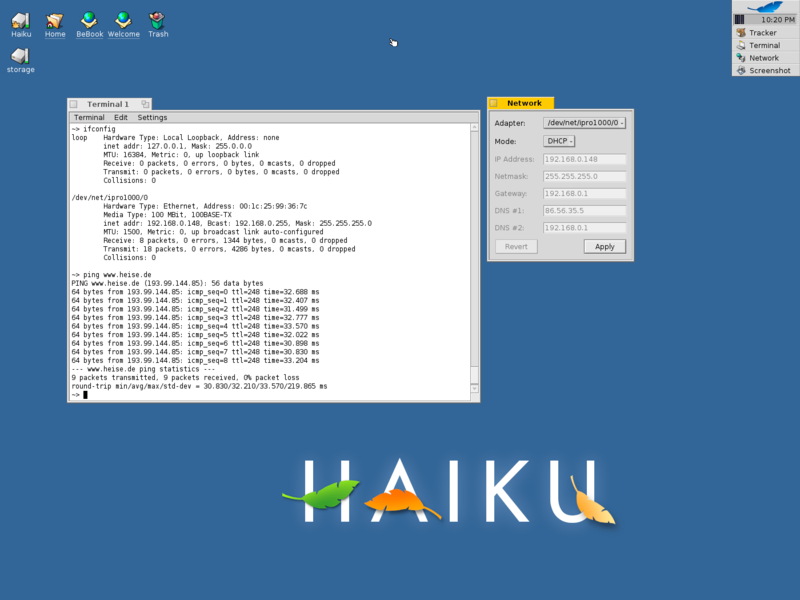 After fetching the RELENG_7 source, updating the Haiku driver code and some small changes and stub additions to the Haiku FreeBSD-compat lib I got it to compile and even run! I am not sure if every change is they way it is to be done, but hey: It’s a start. Have you tried the new network stack yet?